I see a difference… Can you see a difference? 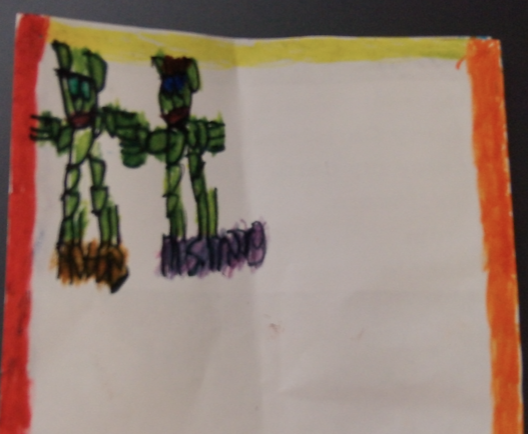 This is a Christmas card from Robbie, one of my students. When I got it, I took one look at the two bubbly yellow characters with ears right on the top of their head and said, “Wow, those are really nice…. bears.” He quickly and sharply corrected me saying, “No No No Ms.Moore, those are people and it’s me and it’s you can’t you tell by their hair look mine is orange and spikey and yours looks like Justin Bieber.” Other than the stutter, it was said exactly like this; no pauses, one breath, rocking body… picture it. I never made that mistake again. I quickly learned which “bear” was me, as I received 7 more of these cards for every year I ever worked with him (and will probably continue to receive). 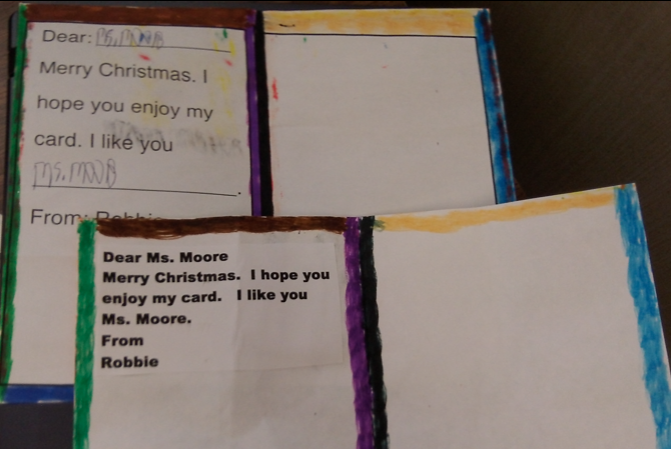 A yellow line on the top of the card, an orange line down the right side, the Robbie and Ms. Moore bears in the top left corner and its painstakingly consistent message inside reading, “Dear Ms. Moore Merry Christmas. I hope you enjoy my card. I like you Ms. Moore. From Robbie.” Every. Single. Year. I should also mention how his lack of muscle tone and fine motor skill difficulty prevents him from writing curves, presenting his freehand drawings and written communication to others, as an invented cryptic language, consisting of a series of up and down lines and no spaces… which he could totally read. As sweet as this sounds, the increase of perseveration resulting from the anxiety developing immediately following Halloween became overwhelming. The looming deadline would distract him and decrease his learning capacity exponentially, until we finally realized that in November and December, scheduling “card making” time during his day saved the sanity of Robbie, his family and everyone working with him. As Christmas got closer, however, he always somehow found a way to re-create these time consuming hand made Christmas cards, for every important person in his life. The structured rules in his brain making sense of the continuum of relationships by separating his family’s and friend’s cards with the closing “I love you” and the latter respectfully substituting, “love” for “like”… these cards could easily number in the 50s. I tell you this story, not to describe how and why it could be difficult to work with Rob, but more to give you an idea of what his brain is like, restricted by the boundaries he has been forced to create to cope in, what many refer to as, “the real world.” Robbie’s secondary symptoms, common to individuals who have Prader-Willis, involve Obsessive Compulsive tendencies, which trap him (and his family) into routines which most of us will neither experience nor understand. I admire his structure, routine and ability to manage his life, among a giant universe of inconsistencies and the forever changing rules and expectations placed on him to fit into this “real world” by typical and able-bodied people. From my (and many others’) perspective, he has done phenomenally. I am sure one can imagine what Robbie’s Individual Education Plan would look like. Traditional, category specific goals around self advocacy, awareness of disability and self regulation followed him for all of his schooling which is valuable, don’t get me wrong, but meant little to teachers who were teaching him art, science or really anything outside of the resource room setting. A few years ago Rob brought me his report card. It was a piece of paper cresting the school’s symbol and motto, listing his name, his courses and the amount of times he was late and/or absent. Looking down his course list, where on a typical report card percentages and letter grades were housed communicating a students progress, Robbie’s course progress markings included (and were limited to) asterisks, a perfect 100%, a single line which stated “see comments attached,” or the most common, just left blank. Attached however, to the back of this report card, were rarely comments, let alone any description of progress of Robbie’s performance in any course or content expectations outside of resource room and traditional special educational programming. Progress was arbitrarily limited to “he’ll get something out of it,” but no one (including myself) really had any idea what that “it” was. For a school (and district) priding itself on inclusion of exceptional students, this infuriated me. After my initial freak out of, “What is wrong with you people?!?!? !” I realized that it wasn’t that the teacher didn’t want to assess these kids or give them an ethical report card, but that they had no idea how. The goals on Robbie’s (and other low incident student’s) Individual Education Plan (IEP), had little or nothing to do with the content of the courses they were in. In secondary schools, juggling 30 plus students (special education or otherwise) in 7 or 8 blocks quickly adding up to the responsibility of up to 240 students is common. Attempting to provide them all with meaningful programming around their grade and course level Performance Standards, understandably leaves the keeping track of and reporting on toileting routines a low priority. Although pre-teacher training in post secondary institutions are getting significantly better in preparing educators to respond to and plan for classes of diverse students including those with high incidence disabilities (learning disabilities, English as a second Language, behaviour, reading and writing difficulties etc. ); Teachers are still not provided sufficient background knowledge on how to differentiate, adapt and modify content for the students with the most significant needs, including Autism, Down’s Syndrome, students with multiple disabilities, Deaf-Blindness etc. Clearly a frustrating factor, with inclusion being expected for many of these teachers in schools today, as a result, these students’ inclusive experience in secondary settings are limited to greetings and taking attendance before being pulled out, a few minutes in Phys. Ed and (if an amazingly supportive teacher is found) minor participation in elective classes (Home Ec, Art, Wood working etc.). 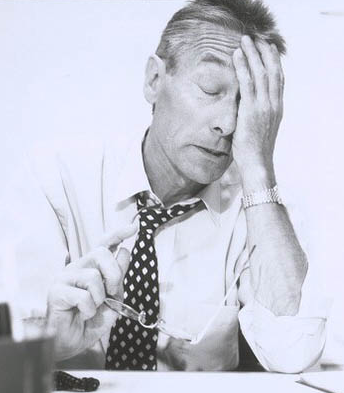 Don’t even get me started on academic classes like science and social studies…. I’ll save that blog for another day. This is a great time to acknowledge the incredible educational assistants (EAs) who make ANY of this possible. If these students ARE given the opportunity to attend a class with their typical peers, it is these incredible individuals who are often the ones doing goal-less modifications and adaptions on the fly to help these students participate as meaningfully as possible, whether it is their contract of roles and responsibilities or not. All of these ideas, I thought, would help ease his anxiety and perhaps help him enjoy the pre-Christmas excitement that happens the 4 weeks before the holiday break. 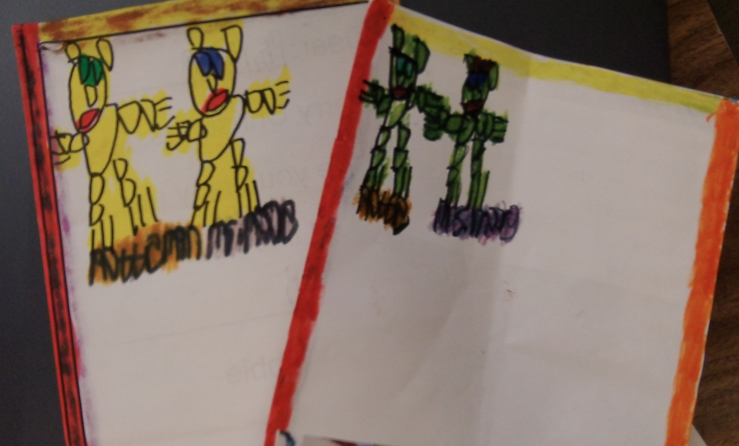 As I contemptuously brought my list of ideas down to the Art teacher, I was all ready to review them and see how we could incorporate them into her program, thinking this would be a great way to inclusively provide a direction for Robbie’s program in Art. I am wondering right now if you the reader can see where this is going? Clearly, I DID NOT. Within 1 minute, Mrs. Shelling looked at the Christmas card and said, “Oh, well he needs to work on filling up white space, using a variety of shades and colours, and background and foreground.” There you have it. We now had goal, and none of them were mine. What I had failed to realize was, that although my intention was to include him meaningfully in this Art class, I missed the entire purpose of my quest; none of my goals were content related. This was the moment I realized the value of collaboration. Although, as his case-manager, I knew inside and out the inner most workings of Robbie’s category related program, I was neither an Art expert, nor had the background knowledge and lens for which to view Robbie’s Christmas card to determine the Art related goals he needed. I could easily have been deflated, but rather was thrilled. I got it! I NEEDED these teachers, just as much as they needed me. I did not in fact, know everything. After this simple three minute conversation, we (not I) were able to draft up an Art specific Individual Education Plan, we later coined, “One-page IEP” for Rob, which was content related and now a guide for both the teacher and the educational assistant. With a purpose to the activities, everyone now knew what to focus on, while participating in and completing the assignments along side their age appropriate peers. A perfect example of inquiry, this concept snowballed, and we started to compile together one-page content IEPs for students who were modified and included in secondary classes. The amount of time in classes, work output and student independence increased exponentially. The EA’s loved it, and the teachers started to get involved. These IEPs became relevant, the teachers became invested, and these simplified content goals started to become the universally designed and enduring understandings that everyone in the class could benefit from seeing and understandings as well. In my 7 year tenure, our school went from 0% to 100% teacher participation in goal development, implementation and/or assessment of modified students with developmental disabilities included in their secondary content classes. The One-Page IEP listed the goals, and eventually evolved to include a rubric to assess student progress. 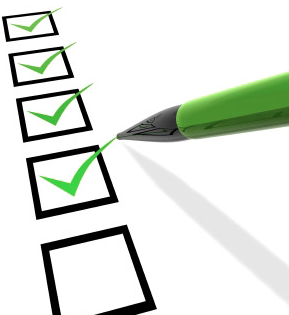 Parents started to receive report cards that read, “see comments attached,” and there would be not only a comment, but also a rich description of the activities, progression of students, and now an entire new set of data to help determine goals for the following year. 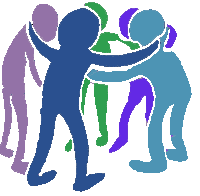 This became our departments mission, to continue to develop the goals to make inclusion of these students meaningful, starting first with electives and eventually moving onto academic subjects. A sustainable concept, which is still going strong, 2 years post my departure. There is nothing more satisfying that seeing the torch being passed and continued, brilliantly I will add, by my successor and former team members. So…Did it work? Did Robbie learn? Did he achieve his individually set goals for his Art class? Well, I will leave you with this. 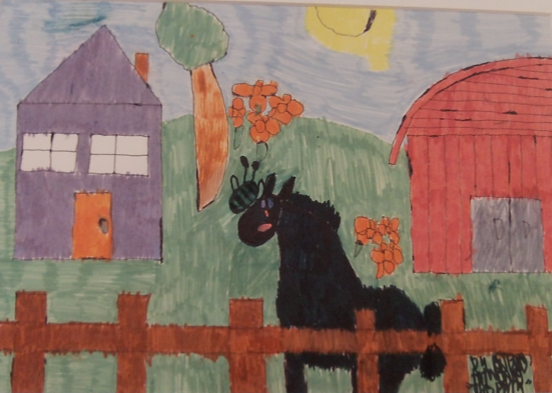 A picture submitted to the school’s annual silent art auction fundraiser. A perfect summative assessment and piece of evidence used to communicate to his parents when report card time came around, that Robbie did indeed, exceed expectations. Filling up white space, using a variety of colour, considering background and foreground. Check. Check. Check. Despite the fact that I had to fork out $325 well deserved dollars to get this piece of art to hang in my office, it is a great example of the effects of collaboration and the simple belief that indeed, everyone can learn. More importantly, however, it is Robbie’s own way of telling me that, there is absolutely nothing about his cards that needs to be changed; for I am one of at least fifty proud people, who every year, await our cherished Robbie’s Bear Christmas Cards.